​Manchester United returned to winning ways on Saturday afternoon, as they beat West Ham 2-1 at Old Trafford. The Red Devils won thanks to two penalties from Paul Pogba, either side of a Felipe Anderson equaliser for the visitors. It was a much-needed win for United, following back-to-back defeats to Wolves and Barcelona in the last two weeks. United extended their strong home record with their win over West Ham, having now gone 14 Premier League home games unbeaten. Only Liverpool (37 games) and Arsenal (16) are on longer runs, as the Red Devils continue their outstanding form at Old Trafford. 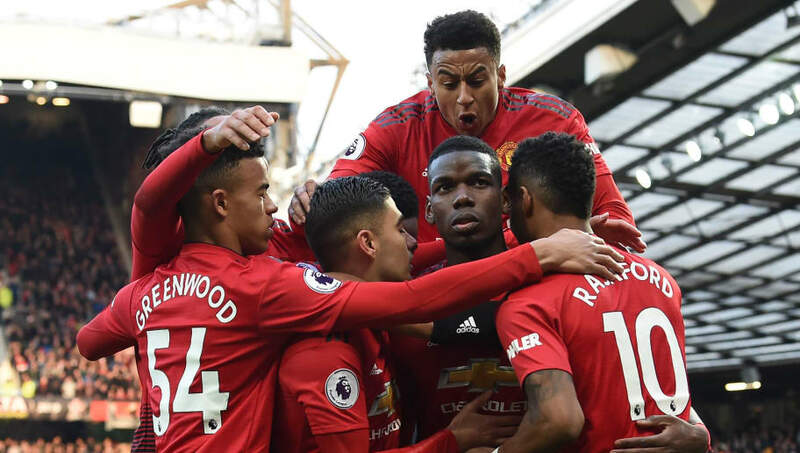 The result saw ​Manchester United rise back up to fifth in the Premier League table, moving a point clear of ​Arsenal. They also sit just two points off fourth placed ​Chelsea, as Ole Gunnar Solskjaer’s side continue to aim for a top four finish. United midfielder ​Pogba stole all the headlines on Saturday, scoring twice in the Red Devils’ victory. The Frenchman has been directly involved in 21 goals in the ​Premier League this season, which is the best tally of his career in any of the main European leagues. Pogba scored his 15th and 16th goals of the season across all competitions, as he stepped up to take both of United’s penalties. It means that he has now scored seven Premier League penalties this season, with only former United legend Ruud van Nistelrooy having scored more. As well as scoring the penalties, Manchester United have been fortunate in winning spot kicks this season. The Red Devils have won 11 penalties throughout the Premier League season, level with ​Crystal Palace. It was a much needed win for United, following two defeats in their last three league outings. With five games left to play this season, they will be eager to cement their place in the top four and qualify for next season’s ​Champions League.